Vicksburg Crossing - Horne Properties, Inc.
Vicksburg Crossing is located on Iowa Boulevard at the juncture of US Highway 61 and Interstate 20. 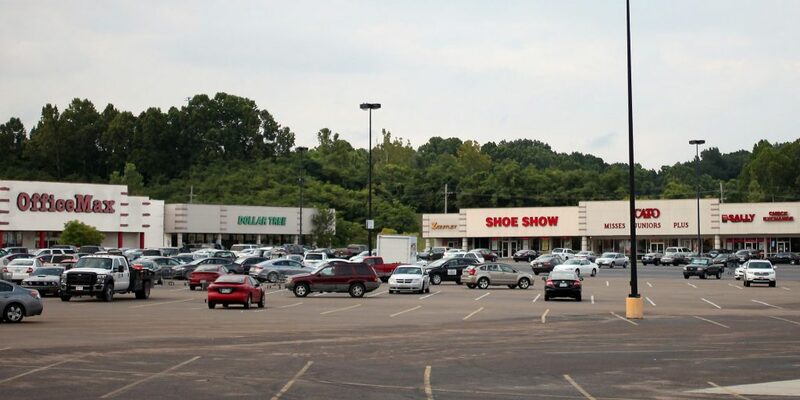 The center is anchored by Wal-Mart and offers super traffic generators such as Office Max, Dollar Tree, Shoe Show and many others. There is one space (1,200 sf) available for lease. Vicksburg MS is a progressive city with a community committed to excellence. It is a unique blend of old and new that offers plenty to see and do – specialty shopping, spectacular river views, museums, National Civil War Park, casinos, outdoor recreation and outstanding southern cuisine. The Mississippi River has long played a part in the historical, economic and residential development of Vicksburg. Founded in 1811 and incorporated on January 29, 1825, Vicksburg rapidly grew as a center for commerce, agriculture and river traffic.